Chronic pain patients are often reminded that tracking their pain is a good way to predict flare-ups or to pinpoint causes. Other than keeping a pen-and-paper record of everything eaten and all activity, there are few effective ways of tracking episodes of chronic pain. Additionally, it can be hard to connect the dots between food/activity and chronic pain. New pain trackers and pain diary apps are changing all of that. Here are 24 of our favorite chronic pain apps, from trackers to medication reminders. Chronic pain apps can help you track symptoms, create reports for your doctor, and more. Here’s some of the best free and paid options, for both iOS and Android phones. CatchMyPain is one of the most well-known pain apps not only for its helpful features but also for the way in which it builds community. This company also provides Pain Companion, a pain tracking app that’s incredibly visual and easy to use. Available for Android and iOS, both free and paid versions. Users can also attach photos to share with their physician and can also set medication and appointment reminders. Available for Android and iOS phones, both free and paid versions. PainScale is a newer app that has been developed with the needs of today’s chronic pain patients in mind. It helps you log your symptoms, but it also provides access to a wealth of insights and content targeted for your condition. You’ll also find easy-to-create reports for your doctor, as well as daily health tips for living a full life with chronic pain. Free for both Android and iOS phones. 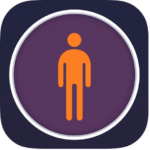 Manage My Pain is a free pain app (with paid upgrades) for Android phones. It allows you to track symptoms and create easy-to-read charts and other data to show family and friends. For chronic pain patients who feel alone or as if their family and friends don’t quite understand their struggle, this app can give them the data to better explain their condition. 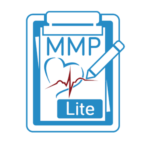 While the “lite” version of this pain diary app is free, there is a “pro” version of Manage My Pain that has more detailed and comprehensive tracking tools. Available for Android, both free and paid versions. As with Manage My Pain, Chronic Pain Tracker offers a free “lite” version and a “pro” version. Both versions allow users to keep a pain diary in 19 different categories, such as pain intensity, triggers, and duration. The app can create a .pdf of data to share with the doctor, or users can sync their data to a Dropbox that they can share electronically. The “pro” version offers no limits on pain diary entries and is more complete, but even the “lite” version is loaded with useful tools for pain patients. Available for iOS, both free and paid versions. 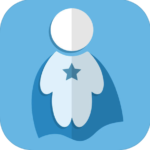 FibroMapp takes the best of sleep tracking and pain tracker apps and puts them together in one app. It’s available for a small payment ($2.99, date of this posting) for both Android and iOS phones. 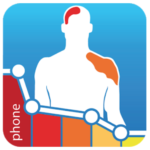 This pain app tracks quantity and quality of sleep, daily experience of pain, and amount and type of medications. FibroMapp offers a .pdf report to share with your doctor as well and can display up to one year’s worth of charts and graphs that detail the record of pain. Available for Android and iOS, only paid versions. 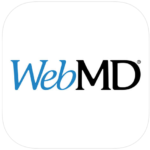 This pain app comes from WebMD and is free for both Android and iOS phones. WebMD Mobile Pain Coach offers users the option of locating their pain on their body, keeping a diary of symptoms and triggers, and printing customized reports for the doctors. Perhaps the biggest benefit to this app is its focus on maintaining a list of commonly-experienced triggers, so patients can track what could be triggering their pain. And then, work to decrease their amount of flare-ups. You can also customize the app to only track symptoms and conditions relevant to you, with easy ways to track and record symptoms, and analyze your health over time. Free (forever) for both Android and iOS phones. This app from the Mayo Clinic Center for Innovation, is specifically targeted to help teens who suffer from chronic pain. This pain app focuses on incorporating home-therapies into the active management of pain. That includes relaxation techniques, exercise, school participation, sleep, and self-care basics. This app is available in the iTunes store. You can find other pain apps for children here. 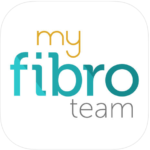 MyFibroTeam is a popular fibromyalgia support app that has an integrated support social network, with others who are dealing with the effects of fibromyalgia. Pain apps can help you stay current and on-target with any home therapies you’re using to combat your pain. We’ve got our favorites, with apps for yoga, meditation, music, and acupressure. The American Chronic Pain Association reports on the eMTCP music pain app which was developed by researchers at the University of Malaga. Music therapy has long been shown to be an effective therapy for reducing chronic pain symptoms. This pain app allows you try this therapy directly from your phone, whether on your commute or while getting ready for bed. Meditation has been proven over and over again to be one of the best at-home therapies for chronic pain. This free app starts you off with “Take 10.” It’s a daily series of ten, ten-minute meditations. You can download this fantastic and accessible meditation app for use offline, which can be helpful when you find yourself in an internet dead zone. Headspace also offers additional meditations for purchase as well as more specialized meditation journeys for better sleep, reducing depression or anxiety, cultivating change, or finding more energy. Smiling Mind’s slogan is “meditation made easy.” It was specifically developed for adolescents by a group of mental health professionals. This app aims to help young people deal with depression, anxiety, and stress through simple mindfulness meditation practices, all of which are huge components of a chronic pain diagnosis. This is a free but invaluable tool for a lifetime of calm. Yoga is a practice that can be incredibly helpful for chronic pain patients. Yoga, like mindfulness meditation, can help focus and direct the body’s energy away from chronic pain and toward healing. This app aims to teach people, from beginner through expert levels, how to use yoga in their day lives. Most lessons are only ten to 15 minutes long. It costs $4.99 through iTunes and allows you to download yoga podcasts directly to your device. Acupressure is a non-invasive healing technique that can relieve stress and tension. This pain management app can help guide you to specific points on your body depending on your symptoms. When done correctly, this may help relieve nerve pain. Acupressure: Heal Yourself is available for iPhones only and costs $1.99. This app goes far beyond simple diet changes and even chronic pain management. TracknShare is focused on building healthy, lifelong habits by tracing current patterns in sleep, exercise, pain, and even bowel movements. TracknShare allows you to follow whatever part of your life you would like to improve, offering you tweaks and tools for better holistic health. The app allows you to choose the manner in which you would like to track your habits (i.e., per day or per hour) and also offers space for your own notes. An estimated 45 to 55% of adults taking medications fail to comply with their treatment, with 77,000 adults in a recent survey admitting that they did not take their medications as directed. This can lead to issues or reduced pain management. New mobile apps make remembering your pills easier than ever. The best medication reminders are timely, convenient, and require very little maintenance. If you lose your phone or tablet, it is easy enough to log in on another device to keep track of your medications. Most of the mobile pain apps for medication reminders are free, and they all come with some sort of alert system that is easy to set up and use. 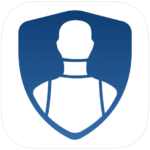 Available on iTunes and free for Apple devices, this application not only reminds you to take your pain medications on time throughout the day, but can also connect to your pharmacy so you don’t forget to refill a prescription before it is too late. If you use an Android device, there is a similar app available in the Google Play store. This visual app is easy to use and can sync with other devices in your household so everyone in your family can better remember their medication management. Available for both platforms, this medication management solution can help you customize your medications and remind you when the prescription has nearly run out. One of Medhelper’s best features is also its most obvious one: you can use this one mobile app to set up medication reminders for more than one person. This is especially helpful if you are a caretaker or have multiple family members coping with illness. It’s free for Android devices. You can also record when pills were taken, pharmacy information, and any appointments you have. Managing your diet can help you avoid pain triggers, lose weight that can lead to more stress on your body, and reduce inflammation. These four pain apps can help, whatever your diet goals. MyFitnessPal is one of the most popular and widely used of the diet apps that work, due in part to its features and ease of use. This app is used as a weight loss tool, tracking daily food consumption and exercise. With a database of over five million different foods, it is easy to track your daily calorie consumption over time. Exercises can also be tracked, either by selecting an exercise from a list or describing it. This app is free, available for both Android and iOS phones, and offers a supportive community online. This highly motivational app won the Men’s Health top fitness app award in 2014, and with good reason. Log on to Fitocracy and be greeted by FRED, the Fitocracy Rewards Exercise Droid who serves as a cheerleader and coach. 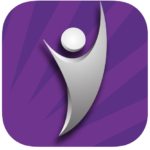 Fitocracy offers badges and icons to reward progress towards a goal that you set with FRED. In addition, for $30 a month, Fitocracy offers a fitness assessment, personalized nutrition plans, and customized workouts based on your goals and baseline fitness. Both the free and premium versions offer access to daily articles and online forums for positive, community support. This is one of the diet apps that work because it doesn’t just track calories and monitor consumption. 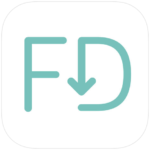 Fooducate’s goal is to “empower you to achieve your diet, health, and fitness goals.” This app does that by actually educating the user on what healthy food choices are and how to make them consistently. Fooducate has features like a daily rating of food quality, barcode scanner for the grocery store, and featured user recipes. The staff at Fooducate also publishes daily tips and educational blogs so that users gain more knowledge about healthy eating in general. The online forums feature before and after pictures along with advice and support from an engaged and enthusiastic community. This app is free for Android and iOS phones. Finally, sleep is a good indicator of pain levels. While these apps don’t track episodes of pain specifically, users can use them to determine how restful they have been at night. Often, a poor night’s sleep means a challenging day to follow. These sleep apps can help you recognize that and take preventative measures (e.g., scheduling a nap or an extra restful time in the afternoon). This app is available for both Android and Apple phones for 99 cents. SleepCycle tracks your sleeping patterns over several days and then uses that data when you set your alarm clock. Then it wakes you only during your lightest level of sleep. This prevents grogginess upon awakening. Sometimes all chronic pain patients need for a good night’s sleep is a little ambient noise, especially if they are living in a city or other area with sudden noises. Simply Noise costs far less than a standard white noise machine. And it only takes up a phone-sized space on the nightstand. This app is available for Android and iOS phones. Chronic pain affects an estimated 100 million people annually. It costs the U.S. approximately $635 billion dollars annually in lost wages and productivity. Many of these pain apps are free, but even if they aren’t, they are worth the small price tag (less than the deductible for one office visit!). And while more research needs to be done into how these pain apps can help patients, simply beginning the work of tracking your pain can help you make better reports at doctor visits and avoid triggers. 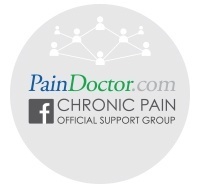 If you need more targeted help for your pain management, click the button below to find a pain specialist in your area! They can work with you to diagnose your pain and suggest therapies that could work. I use a diet app called My Symptoms (Android, not sure if iOS is available). You can track everything you eat, drink, medications, stress, energy, sleep, bowel movements, and so on, plus track any GI or other symptoms you might have. The more detail you include (and you can share with the user community), the more information the app had to work with. You can select a symptom after a few days and the app will use a logarithm to calculate which foods are most likely to have prompted the onset of that specific symptom. It’s incredibly helpful in doing elimination diets. I used it for two years while tweaking my FODMAP diet, and then resumed when it became clear histamine intolerance was at work as well. I use it mainly for medication tracking now, but I love it. One of the first things I put on my phone any time I change. You can also do reports which I share with my dietitian. Hi Becca — Thank you so much for sharing your review here! We’re always looking for more great pain apps. There is a new company called PainScale (www.painscale.com) that is launching this summer. The team launched a video on YouTube (https://m.youtube.com/watch?v=9NX0gjAyI2A) that shows a unique offering more personalized to pain patients. Thanks! We’ll wait for the release of this app to share more information. Will this list get updated after new apps are created? PainScale recently launched and was #1 on Google and #3 on Apple. Hi Christopher — We’re updating now based on the positive reviews online and from our patients. Thanks! I use the Painscale app on the website http://www.painscale.com. I was hoping you would consider adding the ‘LiveWithArthritis’ application on this list. You can track your environmental factors (weather, medications, activity, treatment and diet) and they also have a cloud based imaging software that can detect any abnormalities or variances (for free). From there, you can share this information with your doctor or treating clinician and they can generate a report that can help you isolate the cause. Hi! I found out about the app Ouchie through the U.S. Pain Foundation and have been using it to track my lower back ever since. I really like the app because I can easily record my pain levels and treatment methods every day to show my doctor a reliable record of my progress. I also like that I can connect with a community who faces the same pain I do because their encouragement has been amazing. I met people (shout out to sara78) who have helped me cope with my pain. I suggest adding the app to this list so that other pain patients can benefit from the app the way I did! You can also check out Navigate Pain – its a software application for clinicians and their patients. Aglance Solutions offers a full solution and Navigate Pain is supported by a years of academic research. I’ve tried to download 4 of these so far and none of the apps you’ve listed as being on Android actually are. Very frustrating that your information is so incorrect. Hi there — Thanks for your comments. Unfortunately the app market is in constant flux, so even though we endeavor to keep this list updated, it can quickly come out of date. We’re reviewing the list this week and will remove any no longer offered and make sure to include Android-specific apps. It’s a comphrensive mindbody therapy program for all types of persistent pain. Our program is based on the biopsychosocial approach and has been created with the influence of some of the most respected pain doctors in the world. We have loads of free content and we’re improving fast. Not everyone will have such a dramatic story, but I’m sure our program, meditations, visulizations, feel good tasks & more will help bring at least some relief for those who suffer from chronic pain. Not sure if you are still updating this list, but we would like to submit GeoPain for consideration. It’s a relatively new app created with input from chronic pain experts that provides a level of detail for pain tracking that is not currently found on the market. It’s been clinically proven to faster and better results than comparable methods. We’d love to hear what you think. Thanks!